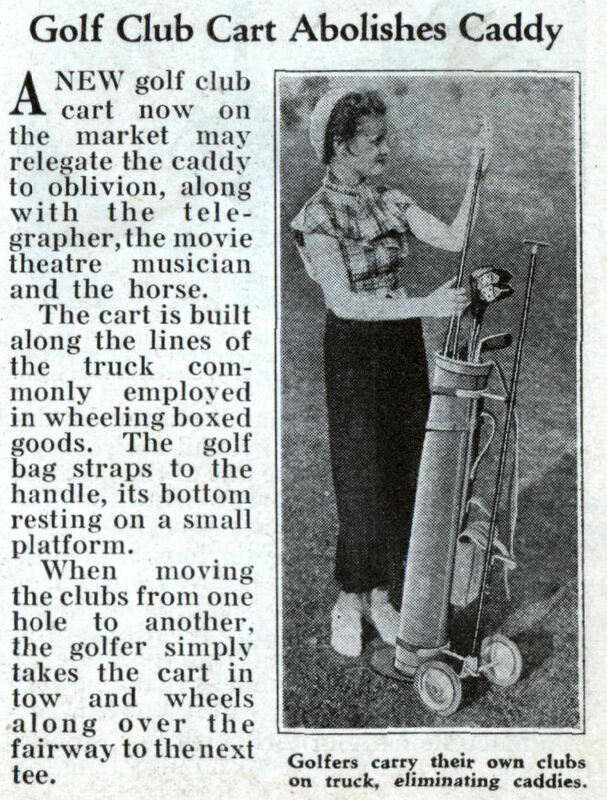 A NEW golf club cart now on the market may relegate the caddy to oblivion, along with the telegrapher, the movie theatre musician and the horse. 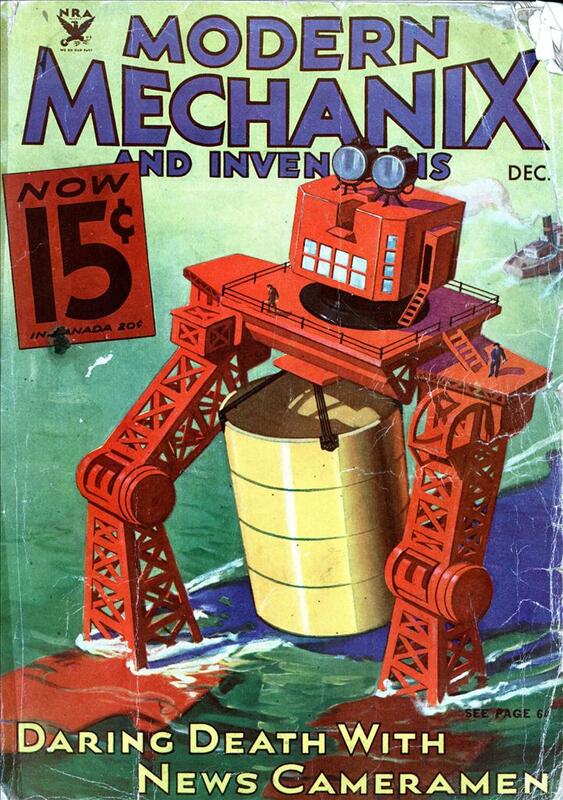 The cart is built along the lines of the truck commonly employed in wheeling boxed goods. The golf bag straps to the handle, its bottom resting on a small platform. When moving the clubs from one hole to another, the golfer simply takes the cart in tow and wheels along over the fairway to the next tee. This should be in the Origins category too. 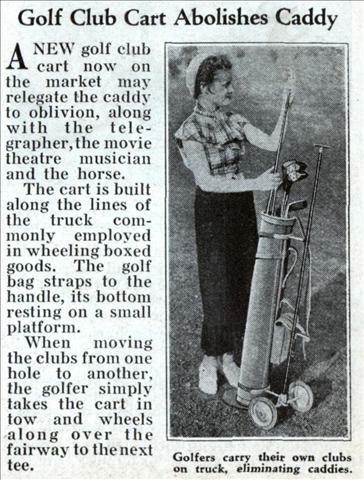 I’m not sure why the lady even needs a cart with only four clubs in her bag. Eliminating caddies durring the Depression. Great idea. KHam I agree! Those BIG wealthy golfers have eliminated the little caddy workers! Power to the three iron! No blood for water hazards!